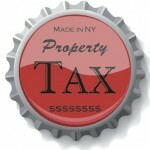 Assembly Republicans, who ought to know better, have issued a proposal that would weaken the state’s property tax cap. Translation: Assembly Republicans want to stick a loophole in the property tax cap. 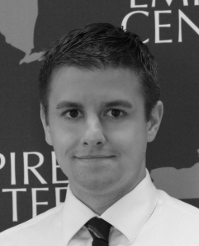 The tax cap was enacted in 2011 after Governor Andrew Cuomo made it a central part of his legislative program. Cuomo has since pushed to make it permanent, going so far as to include the necessary legislation in his budget proposal, and Senate Democrats last week passed a bill eliminating the cap’s expiration language. Assembly Democrats have historically mounted the fiercest resistance to the tax cap, and present the last remaining obstacle to keeping it for good. It’s important to remember, first of all, the tax cap isn’t an impenetrable ceiling on what a local government or school district can collect. Overriding the cap requires a supermajority of 60 percent of local legislators (in local governments) or school referendum voters (in school districts). It’s little more than a yellow light that requires local officials to make the case for going over it. Of all the items for which a local government might seek extra tax revenue, few come with visual aides on par with storm and disaster damage. Which municipalities have faced this injustice? The report doesn’t say. But there can’t be many. All but a handful of the state’s nearly 1,500 towns and villages have five or fewer elected board members or trustees, meaning it takes the same number of votes to override the cap as it does to pass anything. Counties and cities, meanwhile, have experienced little difficulty in overriding the cap (especially those cities which, like most towns, have five or fewer councilmembers). Fifteen of the 57 counties subject to the cap (26 percent) overrode it in their 2012 budgets, and nearly half overrode it at least once in the cap’s first four years. In fact, Delaware County, which sustained some of the worst damage from Tropical Storm Irene in 2011, overrode the tax cap in each of the first four fiscal years after. Tax cap opponents such as the statewide teachers union push seemingly minor modifications to the tax cap formula, likely hoping to make such tweaks an annual occurrence that will cumulatively reduce the cap’s effectiveness. And here, the Assembly Republicans are playing right into their hands. Unfortunately, it’s not the first time. Besides the exemption proposed in the report, Assembly Republicans have in recent years served up a range of similar proposals to weaken the cap, both for school districts and local governments. Their willingness to do that might come as a disappointment to the men and women who first proposed the property tax cap in 2007: the Assembly Republicans. Assembly Republicans, who ought to know better, have issued a proposal that would weaken the #nytaxcap. Assembly Republicans issued an infrastructure report that recommends weakening #nytaxcap instead of reducing more Albany mandates.